Siemens is making it possible for utilities and power grid operators to gain deeper insights into their smart grid data. For this, Siemens has added a big data option to EnergyIP Analytics, an application that runs on Siemens' highly scalable EnergyIP smart grid application platform. The Analytics application now uses various big data options for the data-intensive processes used to administer smart meter gateways and meter data processing for external market participants on the German market. 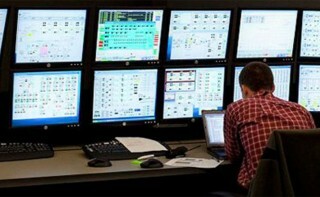 This includes the analysis of complex data patterns for the identification of energy theft, the identification of vulnerable or overloaded devices and plants in the distribution network, and the creation of load forecasts for different levels in the distribution grid based on finely granulated meter data. EnergyIP Analytics thus provides a solid foundation for all analytical applications on Siemens' smart grid application platform with selected Business Intelligence (BI) reports and comprehensive programming interfaces (API). Information from different sources is prepared, combined, and presented for the analysis in BI reports. A BI report allows users to visualize and understand complex data or issues and to use that information to derive corresponding measures. In addition, EnergyIP Analytics enables the evaluation of supply quality at individual metering points with a focus on grid areas and devices with poor power quality indicators. The standard BI reports from EnergyIP Analytics support applications such as end customer consumption load analysis, grid load analysis, power failure analysis, grid incident analysis, the analysis of unassignable consumption (energy that cannot be assigned to any customer), as well as the analysis of distributed energy resources. Development of EnergyIP Analytics incorporated the expertise of over 50 Siemens customers with a total of 28 million installed smart meters, the worldwide operation of 1.4 million Siprotec protection devices from Siemens and 1,400 installations of Spectrum Power, the network control system from Siemens, as well as evaluations of hundreds of studies about energy management in energy technology for insightful BI reports and Analytics applications. Siemens is continuing to develop the data analysis tool on an ongoing basis. Plans for future versions include new standard BI reports, the support of selected business intelligence tools, as well as export opportunities to third-party software vendors. Oman Liquefied Natural Gas LLC (OLNG) is a limited liability joint venture established by a royal decree and operated under the laws of the Sultanate of Oman. It produces and sells liquefied natural gas (LNG) and byproduct natural gas liquids (NGLs). The company undertakes, directly or indirectly, project operations and activities necessary to liquefy, store, transport, and market Oman’s natural gas, and delivers LNG to customers worldwide. The company operates three liquefaction trains at Qalhat near Sur that have a combined capacity of 10.55 million tons per annum. In 2013, Yokogawa received an order to supply an operator training system (OTS) for the OLNG natural gas liquefaction trains at the Qalhat site. OLNG directly awarded this OTS order to Yokogawa Middle East & Africa in recognition of the long-term relationship between the companies and Yokogawa’s strong commitment to its projects. This OTS was successfully installed and commissioned in November 2014. The OTS is comprised of an OmegaLand simulation engine and an automation system made up of a CENTUM VP integrated production control system. NI (Nasdaq: NATI), the provider of platform-based systems that enable engineers and scientists to solve the world’s greatest engineering challenges, announced today a new, high-performance model of VirtualBench. The software-based VirtualBench all-in-one instrument combines a mixed-signal oscilloscope, function generator, digital multimeter, programmable DC power supply and digital I/O. With 350 MHz of bandwidth, four analog channels and Ethernet connectivity, the new version of VirtualBench offers increased functionality for engineers characterizing and debugging new designs or automated test systems. Users still interact with VirtualBench through free upgradable software applications that run on PCs or iPads for an easy, unified software experience for all five instruments. Because VirtualBench uses today’s consumer computing platforms, engineers and scientists interact with their instruments using multitouch displays, multicore processors, wireless connectivity and intuitive interfaces for increased productivity. Simplification and increased capability through software leads to more efficient circuit debugging and validation. Honeywell has launched a new app providing plant managers immediate notifications as well as real-time plant performance data and analytics direct to their smartphones. Honeywell Pulse™, part of Honeywell’s Industrial Internet of Things network, is the company’s newest technology enabling plant managers, supervisors and others to stay connected to their enterprise – wherever they are in the world. The app brings relevant metrics and the tools to resolve issues directly to mobile devices, helping to improve efficiency and safety. Honeywell is well positioned to leverage the IIoT, a network of networks that uses the Internet to connect people, processes and assets, and to enable a new way to optimize business results and improve safety through increased mobility. Honeywell recently conducted a customer mobility strategy survey which showed 65 percent of customers in the chemicals, refining, pulp and paper, and upstream oil and gas industries have a mobility strategy. It identified the top three operational areas that generate the most interest in mobility are processing facilities, field service and logistics. The survey also revealed that customers are investing in mobility in three key areas: information visibility, improved field service workflow and safety compliance. Advantech, global top market-share holder in the field of industrial computing, announced it has joined Microsoft Azure Certified for Internet of Things (IoT), ensuring that customers can get IoT solutions up and running quickly with hardware and software that has been pre-tested and verified to work with Microsoft Azure IoT services. Advantech IoT devices certified by Azure allow businesses to reach customers where they are, working with an ecosystem of devices and platforms, which allows for faster time-to-production. There are already five Advantech IoT devices certified by Microsoft Azure which turn IoT solution into a new era. These devices focus on vertical markets in industrial automation, transportation, and the IoT field, which will be expanding rapidly in the near future. To speed up the implementation of POC and product prototyping, Advantech offers a further IoT starter software development kit to help realize customers’ IoT applications as efficiently as possible. IoT projects are complex and take a long time to implement. Customers find that choosing and connecting the right set of devices, assets or sensors to the cloud can be time-consuming. To jumpstart their IoT projects with confidence, customers are looking for the right IoT devices and platforms that are tested for readiness, compatibility, and usability. By choosing from Advantech’s certified by Microsoft Azure IoT program, customers can save time and effort on project specs and RFP processes, knowing in advance that devices and offerings will work with the Azure IoT Suite.